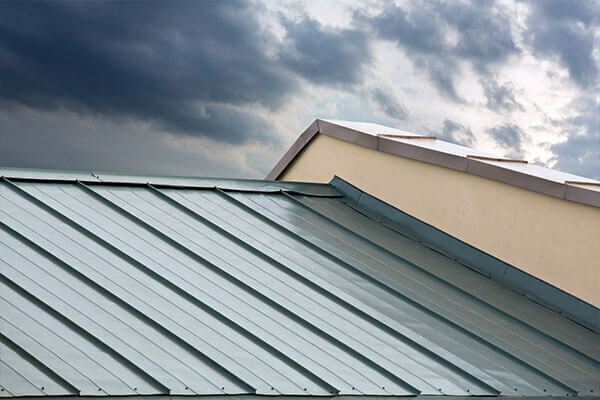 Metal Roofing - San Diego Roofing Inc.
Metal roofing is a roof system made from metal pieces or metal tiles. Metal roofs protect homes from extreme weather events with durable, attractive solutions that reduce the homeowner’s carbon footprint. With a minimum recycled content of 28 percent and demonstrated ability to lower energy consumption, metal roofs are a great solution for the “green” conscious here in San Diego. 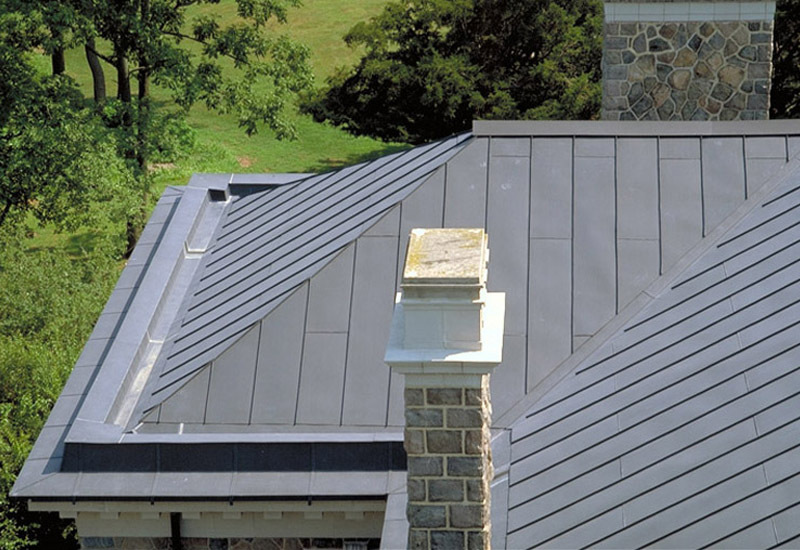 A metal roofing system offers unmatched durability, lasting 2 to 3 times longer than other systems. Asphalt roofing can require re-roofing every 10 to 20 years. Metal roofing can last well-over 50+ years, so chances are good that a metal roof will be the last roof you ever install. No matter what kind of roofing style, color or finish you have now (or have in mind), there’s a metal roofing style to match. Metal roofing styles available look just like common roofing material such as asphalt shingle, clay tile, cedar shake or slate. However, metal roofing solutions last at least 2 to 3 times longer than other roofing materials. 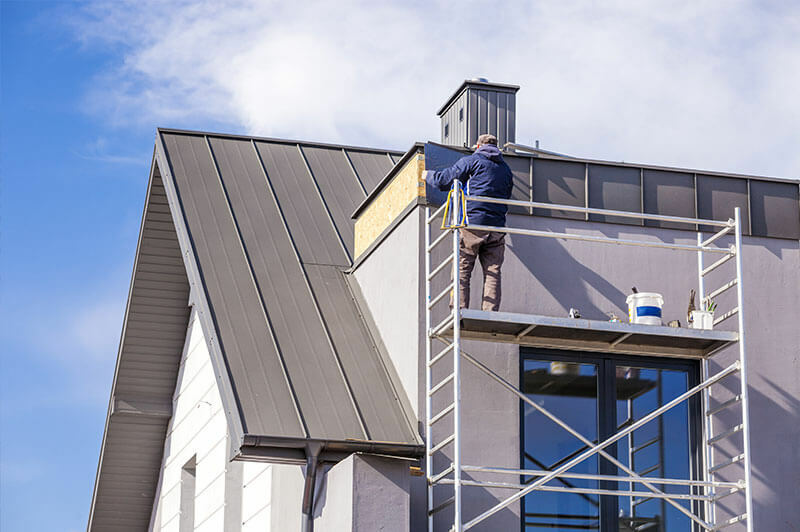 Metal roofing in both light and dark colors reflects heat effectively to reduce cooling loads in the summer and insulate homes during the winter. This can help to lower energy bills significantly (up to 40% in some areas) compared to traditional asphalt shingle roofing. Protect your home or business from the sun and heat with an energy efficient metal roof. Metal roofing will last a lifetime and ultimately can save more money in energy costs over its lifespan than other roofing systems. Metal roofs typically have at least 25% recycled content. This level of recycled roofing content makes metal roofing a “green” solution and recycled content product. Meta roofing is also 100% recyclable when removed as part of building renovation or demolition. Other roofing materials are routinely removed and disposed of by the ton in a landfill, but metal roofing can be recycled by its entirety.